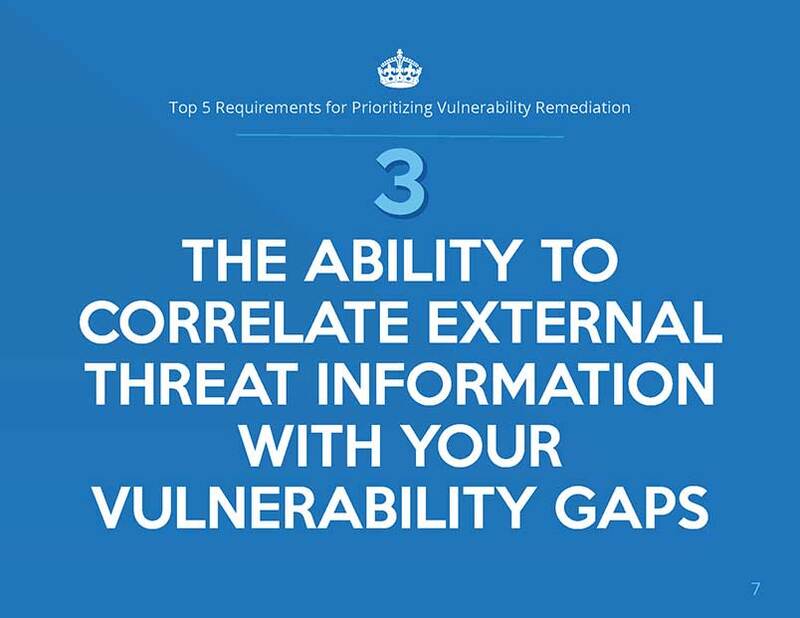 Top 5 Requirements for Prioritizing Vulnerability Remediation | Qualys, Inc. Some vulnerabilities represent a minor risk, while others must be addressed immediately. Learn how to determine which is which. 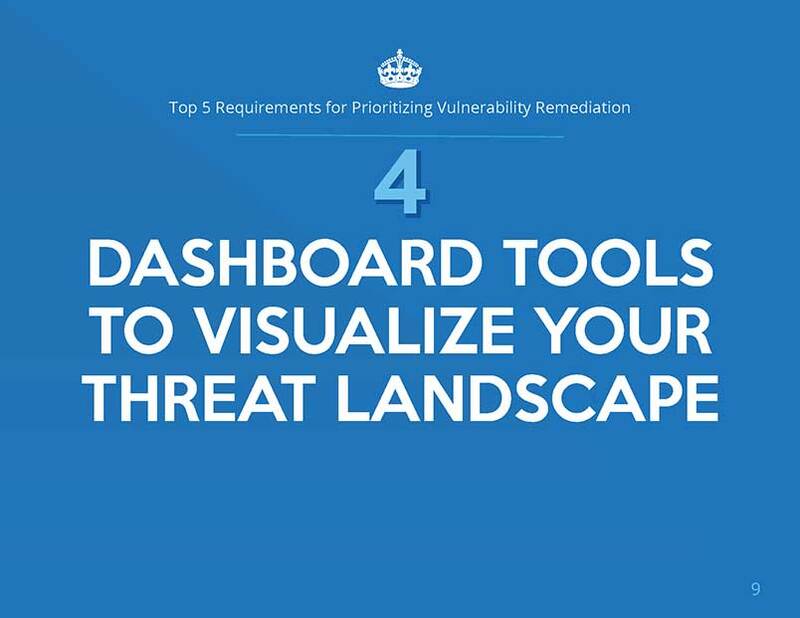 Organizations that fail to properly prioritize vulnerability remediation open themselves up to cyber attacks. That’s because IT organizations face an abundance of vulnerabilities, some of which are trivial and some of which pose a significant risk. Without knowledge of what to tackle first, organizations become overwhelmed, and high-risk vulnerabilities can easily remain unaddressed. 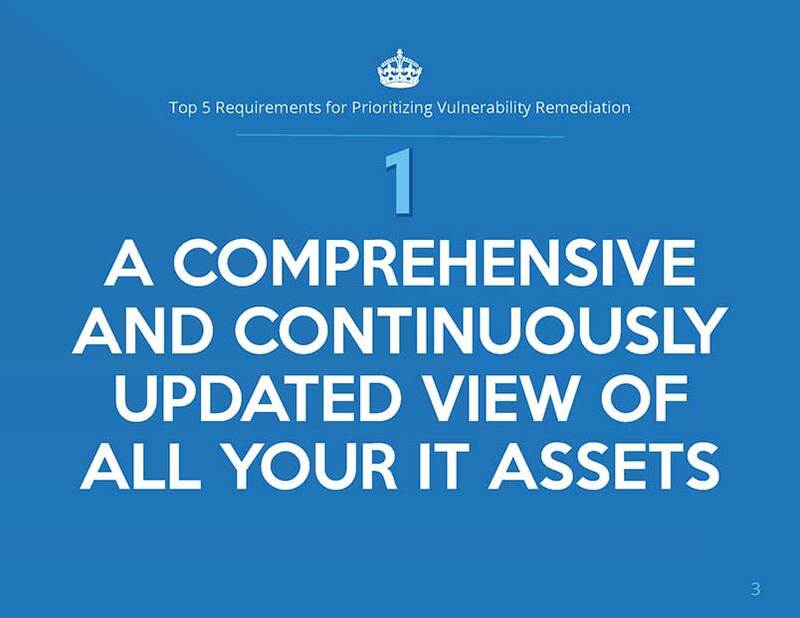 In this brief, you’ll learn the five key elements for successfully prioritizing vulnerability remediation. Then find out how Qualys Threat Protection lets you take full control of evolving threats by correlating active threats against your vulnerabilities, so you know which vulnerabilities to remediate first. 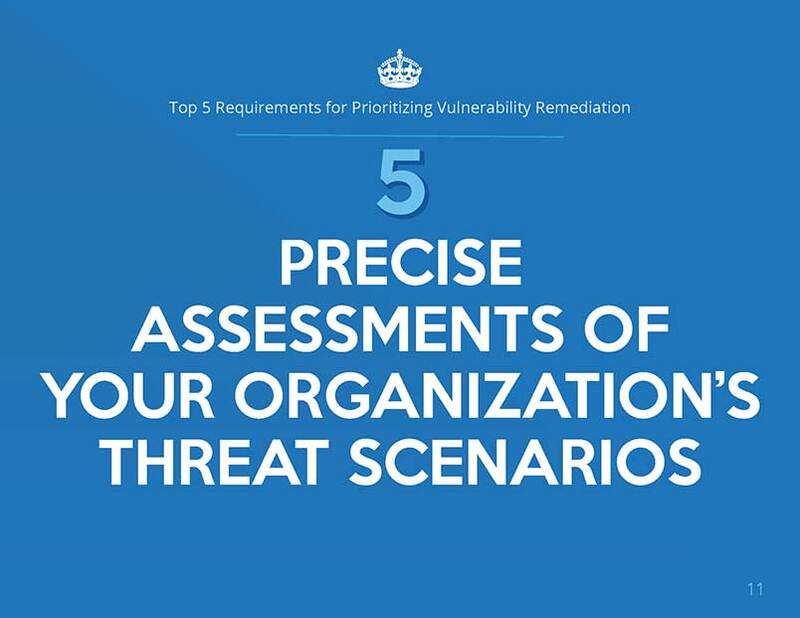 Download the brief now to learn more about the top five key elements for determining which vulnerabilities pose the greatest risk.